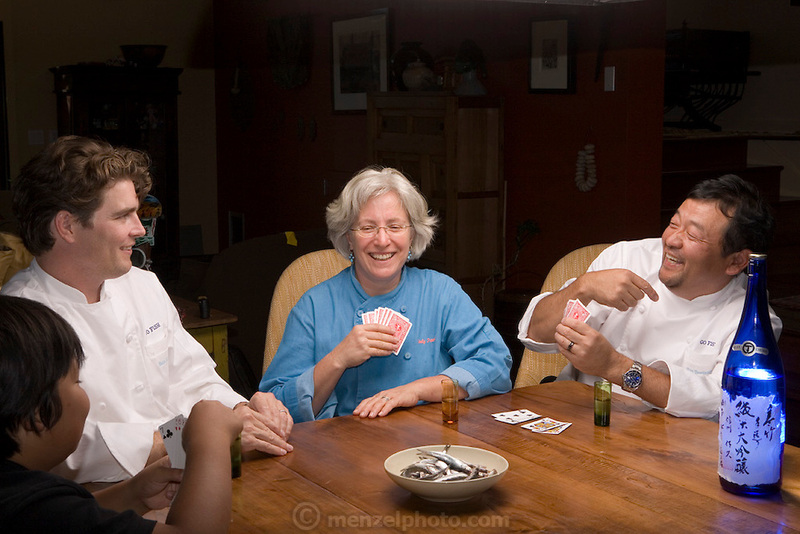 Sean Knight plays "Go Fish" and drinks saki with partners and fellow chefs Cindy Pawlcyn and Ken Tominaga at Cindy's St. Helena home in the Napa Valley, CA. They are about to open a new restaurant in St. Helena, called Go Fish. Also playing is Ken's 9 year old son.